Discover tranquility and vitality in Cromwell, CT.
A gracious lifestyle with outstanding amenities. If you’re looking for a casual, inviting lifestyle, with services and amenities that make each day fulfilling and fun, you’ve come to the right place! At Covenant Village at Cromwell, you can live in comfort and convenience – with a full range of outstanding amenities and concierge services. So forget about snow removal or leaf-raking chores. Don’t worry about what’s for dinner tonight. 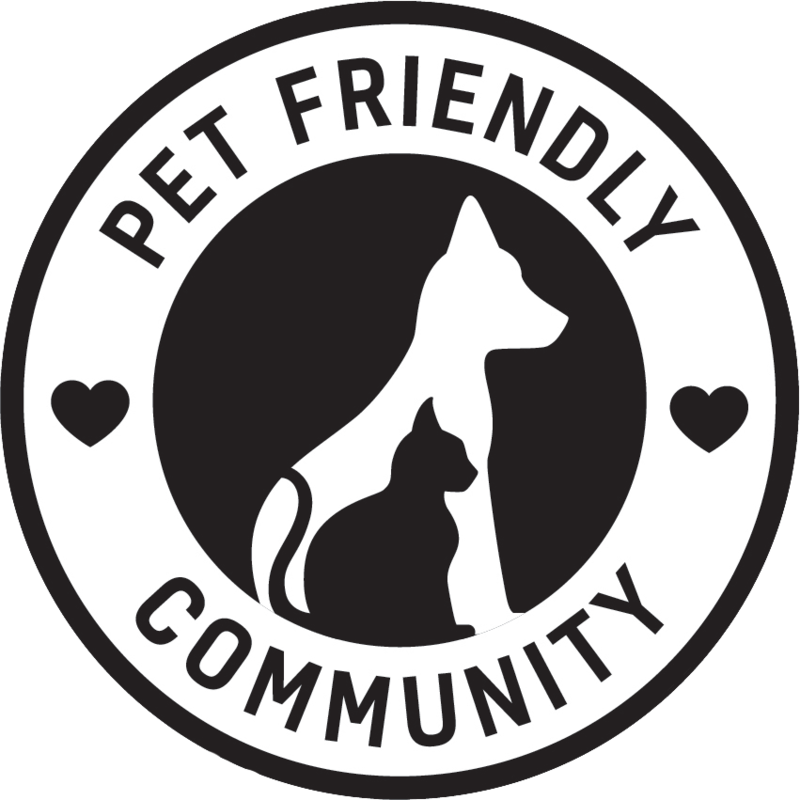 You’re free to pursue your favorite hobby (or learn a new one), volunteer or visit museums, wineries or the theater. Attend sporting events at the nearby New England Athletic Club. Choose whether to take a leisurely stroll or attend a fitness class or concert. It’s all up to you! In keeping with our commitment to hospitality, everything in our community is yours to enjoy as an extension of your home. Pursue your passions: Create an heirloom in the woodworking shop, express yourself in the creative arts center, exercise your green thumb in a gardening space, pursue your spiritual journey through enrichment opportunities, learn something new through our affiliation with Middlesex Community College, or participate in an oral history program with students from Wesleyan University. Stay well. Reach your fitness goals with our exercise physiologist, work out on the professional-caliber equipment or take a group class, and walk or bike along paths throughout our 42-acre community. To learn more about our services, please click here to contact us online or call us at (877) 297-6833. What aspects of life at Covenant Village of Cromwell are you most interested in? Would you like to include photos in your brochure? 2 bedroom apartment and cottage floor plans. Give us a call at one of the numbers below for sales inquiries, careers information, or to contact a resident. Hours: 7:00 a.m. - 8:00 p.m. Hours: Residential Living 9:00 a.m. - 5:00 p.m.
We're ready to assist you. Questions? We’re available to chat—anytime. Click the button below to chat now with a senior living advisor. 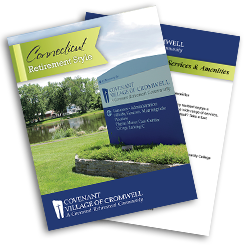 Create and print your own custom brochure! It's the fast, easy way to get just the information you want. 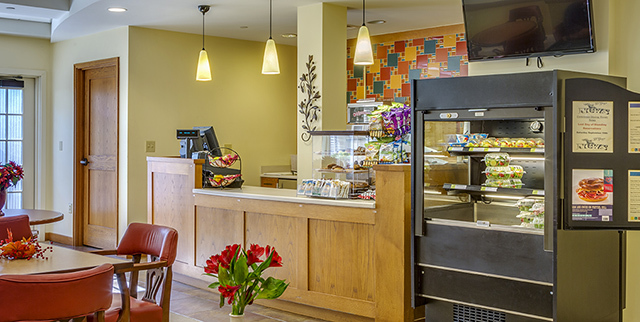 Enjoy our community as our residents do with "Your Day, Your Way." Explore our campus and learn about amenities that match YOUR interests in this customizable experience. View our studio, one-, two- and deluxe two-bedroom apartment homes in a variety of inviting floor plans. Having the conversation? 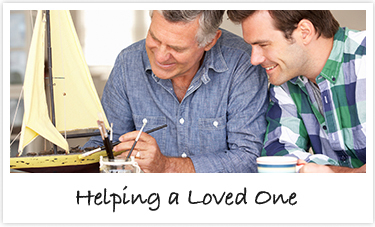 Learn how to have a heart-to-heart conversation with aging parents. Working at a Covenant community means being a part of a greater organization of caring, dedicated team members. Who knows where your career path at our community will lead? Meet Liz Silva, from our sister community Windsor Park. Liz started her Covenant career in the community dining room and is now a Sales Assistant! Residents who volunteer and also others who volunteer at CVOC....retired employees, young people and family membets of employees ....all enjoyed the wonderful breakfast. And, thanks to all who helped serving us! Settle yourself or your loved one into a continuing care retirement community that takes care of everything needed now and in the future. Covenant Retirement Communities does not discriminate pursuant to the federal Fair Housing Act.